Thomas Rukavina (August 23, 1950 – January 7, 2019) was an American politician and a Democratic–Farmer–Labor (DFL) member of the Minnesota House of Representatives from 1987 to 2013. In 2010 he was an unsuccessful candidate for Governor of Minnesota, seeking the DFL nomination. He was a St. Louis County commissioner from 2015 to 2018. The Minnesota Democratic–Farmer–Labor Party (DFL) is a center-left political party in the U.S. state of Minnesota. It is affiliated with the U.S. Democratic Party. Formed by a merger of the Minnesota Democratic Party and the left-wing Minnesota Farmer–Labor Party in 1944, the DFL is one of only two state Democratic party affiliates of a different name. The Minnesota House of Representatives is the lower house of the Legislature of the U.S. state of Minnesota. There are 134 members, exactly twice as many as the Minnesota Senate. Floor sessions are held in the north wing of the State Capitol in Saint Paul. Offices for members and staff, as well as most committee hearings, are located in the nearby State Office Building. Virginia is a city in Saint Louis County, Minnesota, United States, on the Mesabi Iron Range. The population was 8,712 at the 2010 census. According to a water tower in the middle of town, the city's nickname is the "Queen City", or "Queen City of the North". Despite its relatively small size, Virginia ranks among the most dangerous cities in Minnesota when measured by violent and property crimes per capita. 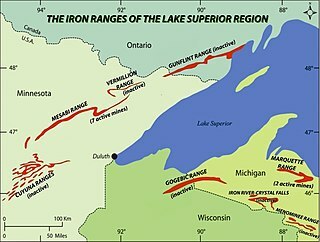 The Mesabi Iron Range is an elongate trend containing large deposits of iron ore, and the largest of four major iron ranges in the region collectively known as the Iron Range of Minnesota. Discovered in 1866, it is the chief iron ore mining district in the United States. The district is located in northeast Minnesota, largely in Itasca and Saint Louis counties. It was extensively worked in the earlier part of the 20th century. Extraction operations declined throughout the mid-1970s but rebounded in 2005. China's growing demand for iron, along with the falling value of the U.S. dollar versus other world currencies, have made taconite production profitable again, and some mines that had closed have been reopened, while current mines have been expanded. St. Louis County is a county located in the northeastern part of the U.S. state of Minnesota. As of the 2010 census, the population was 200,226. Its county seat is Duluth. It is the largest county by total area in Minnesota, and the largest in the United States east of the Mississippi River. The Governor of Minnesota is the chief executive of the U.S. state of Minnesota, leading the state's executive branch. Forty people have been governor of Minnesota, though historically there were also three governors of Minnesota Territory. Alexander Ramsey, the first territorial governor, also served as state governor several years later. State governors are elected to office by popular vote, but territorial governors were appointed to the office by the United States president. The current governor of Minnesota is Tim Walz of the Democratic-Farmer-Labor Party (DFL). James Louis Oberstar was an American politician who served in the United States House of Representatives from 1975 to 2011. A member of the Minnesota Democratic–Farmer–Labor Party, he represented northeastern Minnesota's 8th congressional district, which included the cities of Duluth, Brainerd, Grand Rapids, International Falls, and Hibbing. He was chairman of the House Transportation and Infrastructure Committee from 2007 to 2011, and ranking minority member prior to that. In November 2010, he was defeated by a margin of 4,407 votes by Republican Chip Cravaack. He is the longest-serving member ever of the United States House of Representatives from the state of Minnesota. The Republican Party of Minnesota is a conservative political party in the U.S. state of Minnesota. It is affiliated with the United States Republican Party. The 2006 United States Senate election in Minnesota took place on November 7, 2006. The incumbent DFL U.S. Senator Mark Dayton decided in February 2005 that he would retire instead of seeking a second term. The primary elections took place on September 12, 2006. DFL nominee Amy Klobuchar won the open seat. Margaret Anderson Kelliher is an American politician, current Commissioner of the Minnesota Department of Transportation, and a former member of the Minnesota House of Representatives. A member of the Minnesota Democratic–Farmer–Labor Party, she represented District 60A, which includes portions of the city of Minneapolis in Hennepin County, located in the Twin Cities metropolitan area. First elected in 1999, she served until 2011, also serving as the Speaker from 2007 to 2011. She is the second woman to hold the position of House speaker. She was an unsuccessful candidate for the DFL nomination for Governor of Minnesota in the 2010 gubernatorial election, losing to former Senator Mark Dayton. On June 5, 2018, she registered as a candidate for the DFL nomination to the U.S. House of Representatives in Minnesota's 5th congressional district, going on to lose in the primary. The 2010 Minnesota gubernatorial election was held on Tuesday, November 2, 2010 to elect the 40th Governor of the U.S. state of Minnesota for a four-year term to begin in January 2011. The general election was contested by the major party candidates State Representative Tom Emmer (R–Delano), former U.S. Senator Mark Dayton (DFL), and Independence Party candidate Tom Horner. After a very close race, Dayton was elected governor. Emmer would be elected to the United States House of Representatives four years later. Thomas M. "Tom" Bakk is a Minnesota politician and the minority leader of the Minnesota Senate. A member of the Minnesota Democratic–Farmer–Labor Party (DFL), he represents District 3, which includes portions of Cook, Koochiching, Lake and St. Louis counties in the northeastern part of Minnesota. Raymond John "Chip" Cravaack is an American politician who was the U.S. Representative for northeastern Minnesota's 8th congressional district from 2011 to 2013. In his first run for political office, he upset 18-term Democratic incumbent Jim Oberstar by a margin of 4,400 votes to become the first Republican since 1947 to represent the district. Previously, Cravaack was a pilot for Northwest Airlines, and before that he was a Navy pilot, and a graduate of the U.S. Naval Academy. He was defeated by DFL candidate Rick Nolan on November 6, 2012. The 2012 United States Senate election in Minnesota took place on November 6, 2012, concurrently with the U.S. presidential election as well as other elections to the United States Senate and House of Representatives as well as various state and local elections. Incumbent Democratic–Farmer–Labor U.S. Senator Amy Klobuchar was re-elected to a second term in a landslide, defeating the Republican nominee, State Representative Kurt Bills by almost one million votes, and carrying all but two of the state's counties. Carly Melin is a Minnesota politician and former member of the Minnesota House of Representatives. A member of the Minnesota Democratic–Farmer–Labor Party (DFL), she represented District 6A, which included portions of the Iron Range in Itasca and St. Louis counties in northeastern Minnesota. In February 2018, Melin became executive director of the Minnesota State Building and Construction Trades Council, a labor group representing 70,000 union members. On January 31, 2019, Attorney General Keith Ellison appointed Melin as government affairs director for his office. Jeff Anderson is an American politician, veteran of military service, business executive and small business owner. The fourth-generation Iron Ranger ran for Congress in Minnesota's 8th congressional district, losing to Rick Nolan in August 2012. Anderson has worked for the U.S. House of Representatives as Congressman Rick Nolan's District Director since January 2013. The 2014 Minnesota gubernatorial election took place on November 4, 2014, to elect the governor of Minnesota concurrently with the election to Minnesota's Class II U.S. Senate seat, as well as other elections to the United States Senate in other states and elections to the United States House of Representatives and various state and local elections. The 2014 Minnesota Secretary of State election was held on November 4, 2014, to elect the Minnesota Secretary of State. The 2014 Minnesota House of Representatives election was held in the U.S. state of Minnesota on November 4, 2014, to elect members to the House of Representatives of the 89th Minnesota Legislature. A primary election was held in several districts on August 12, 2014. The 2016 Minnesota House of Representatives election was held in the U.S. state of Minnesota on November 8, 2016, to elect members to the House of Representatives of the 90th Minnesota Legislature. A primary election was held in several districts on August 9, 2016. The election coincided with the election of the other house of the Legislature, the Senate. A special election was held in the U.S. state of Minnesota on December 8, 2015, to elect a new representative for District 3A in the Minnesota House of Representatives, caused by the death of Representative David Dill on August 8, 2015. A primary election was held on September 29, 2015, to nominate a Minnesota Democratic–Farmer–Labor Party (DFL) candidate. Rob Ecklund, the DFL nominee, won the special election. The 2018 Minnesota gubernatorial election took place on November 6, to elect the 41st Governor of Minnesota as incumbent governor Mark Dayton chose not to run for re-election for a third term. The Democratic nominee was congressman Tim Walz from Minnesota's 1st congressional district while the Republicans nominated Hennepin County commissioner Jeff Johnson. The Independence Party of Minnesota didn't field a candidate for the first time since 1994. Going into the election the polls showed Walz ahead and the race was characterized as lean or likely DFL. 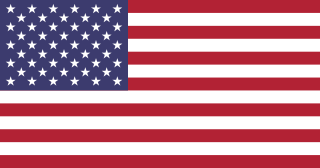 The 2018 United States Senate election in Minnesota took place on November 6, 2018, to elect a United States Senator from Minnesota. Democratic incumbent Amy Klobuchar ran for reelection to a third term. This election was held alongside a special election for Minnesota's other Senate seat, which was held by Al Franken until he resigned in January 2018. U.S. House elections, a gubernatorial election, State House elections, and other elections were also held. The 2018 United States House of Representatives elections in Minnesota were held on November 6, 2018, to elect the eight U.S. Representatives from the state of Minnesota, one from each of the state's eight congressional districts. The elections coincided with an open gubernatorial election, a U.S. Senate election, a special U.S. Senate election, State House elections, and other elections. The 2018 United States Senate special election in Minnesota took place November 6, 2018, to elect a United States Senator from Minnesota to fill Senator Al Franken's term expiring on January 3, 2021. On December 7, 2017, Franken announced his resignation, effective January 2, 2018. His successor, Tina Smith, was appointed by Governor Mark Dayton on December 13, 2017, and ran in the special election. This election coincided with a regularly scheduled U.S. Senate election for the seat currently held by Amy Klobuchar, U.S. House elections, a gubernatorial election, State House elections, and other elections. The 2018 Minnesota Attorney General election was held on November 6, 2018, to elect the attorney general of the U.S. state of Minnesota. A primary election was held on August 14, 2018, in which Doug Wardlow was nominated as the Republican candidate and Keith Ellison was nominated as the Democratic–Farmer–Labor (DFL) candidate. Ellison won the election. ↑ "Tom Rukavina Croatian-American running for Minnesota governor". Croatia.org. Retrieved January 10, 2019. 1 2 "Rukavina, Thomas "Tom"". Minnesota Legislative Reference Library. Retrieved January 7, 2019. 1 2 "Former state lawmaker, county commissioner Tom Rukavina dead at 68". Duluth News Tribune. Retrieved January 7, 2019. 1 2 Myers, John (May 12, 2012). "After 26 years in the Minnesota House, Rukavina says he's retiring". Duluth News Tribune . Retrieved January 7, 2019. 1 2 Kraker, Dan (January 7, 2019). "Iron Range politician Tom Rukavina dies". Minnesota Public Radio . Retrieved January 7, 2019. ↑ Stawicki, Elizabeth (February 28, 2007). "Lawmaker proposes ban on foreign-made U.S. flags". Minnesota Public Radio . Retrieved January 7, 2019. ↑ Brunswick, Mark (December 30, 2007). "On Tuesday, all-American flags are law of the land". Star Tribune . Retrieved January 7, 2019. 1 2 Post, Tim (April 30, 2010). "House expected to take up alcohol rules at U of M stadium". Minnesota Public Radio . Retrieved January 7, 2019. ↑ Hanna, Bill (July 24, 2009). "Rukavina running for governor in 2010". Mesabi Daily News . Retrieved January 7, 2009. ↑ Hanna, Bill (September 7, 2009). "Rukavina makes it official on 2010 run". Mesabi Daily News . Retrieved January 7, 2019. ↑ "Oberstar endorses Rukavina for governor". Duluth News Tribune . March 30, 2010. Retrieved January 7, 2019. ↑ Davis, Don (April 25, 2010). "Kelliher wins late-night battle for DFL governor nomination". Duluth News Tribune . Retrieved January 7, 2019. ↑ "Rep. Rukavina arrested for DUI". WDIO-DT via stopthemaddness.org. Retrieved January 7, 2019. ↑ Stassen-Berger, Rachel E. (May 27, 2007). "Their peers forgive, but DWIs haunt lawmakers". Pioneer Press . Retrieved January 7, 2019. 1 2 3 4 5 "Former Rep. Tom Rukavina, served Iron Range for more than a quarter century, dead at 68". Star Tribune. Retrieved January 7, 2019. ↑ "Keith Ellison on Twitter". Twitter. Retrieved January 7, 2019.